DESCRIPTION Offered in pristine condition, this gorgeous Evergreen home blends an excellent location, highly desirable layout, & designer details. You are greeted with an exposed aggregate driveway with a walkway pergola, leading to the wide step at the front door. The spacious foyer flows to a large dbl closet & an private office/den. Into the main open space, the high ceilings & large windows offer front-to-back sunshine. 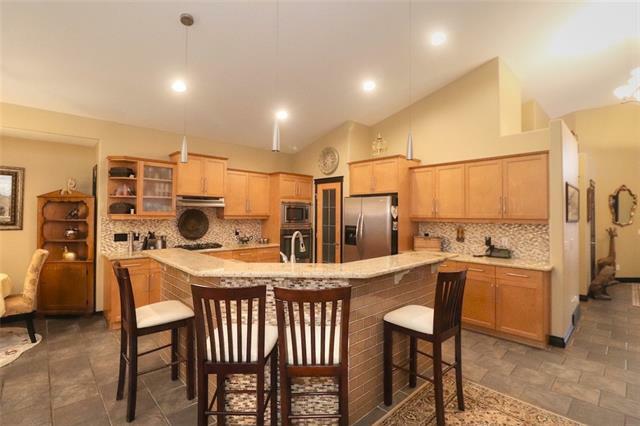 Stainless appliances, granite countertop, flush-top oven & tall cabinets complement the gourmet kitchen space. The living room features a corner fireplace while the dining area blends out to the deck overlooking the pathways out back, with stairs to the lower walk-out level. On the upper level, there is a beautiful main 4pc bath, full laundry room, massive bonus room with walk-in closet, 2 generous bedrooms (one with walk-in closet). The Masters Retreat benefits from a beautiful ensuite, w/i closet & loads of sunshine. The unfinished walk-out level allows for great design and investment potential. The backyard has been beautifully landscaped and offers excellent pathway access which leads to playgrounds, schools and even shopping amenities. 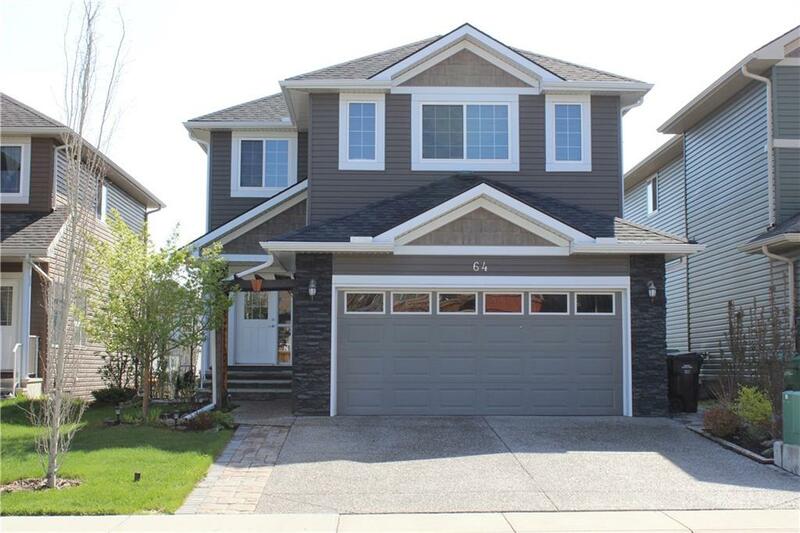 This lovely home is in move-in-ready condition and offers flexible possession. An excellent opportunity to own a wonderful family home. Home for sale at 64 Everhollow ST Sw Calgary, Alberts T2Y 0K2. Description: The home at 64 Everhollow ST Sw Calgary, Alberta T2Y 0K2 with the MLS® Number C4225108 is currently listed at $520,000.